If you're in the market for an affordable & updated condo in a fantastic location, look no further! 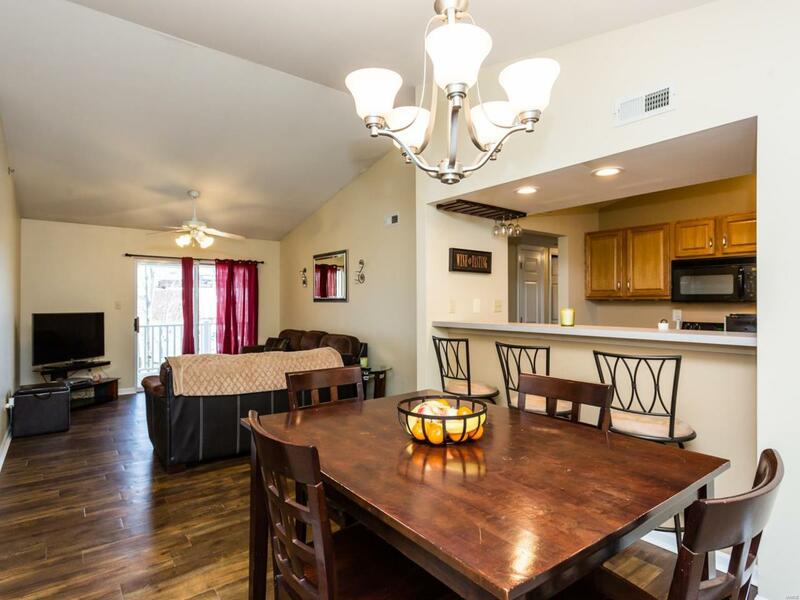 This 2 bedroom/2 bathroom unit has over 1,000sf, private deck w/ storage closet and plenty of room to spread out. 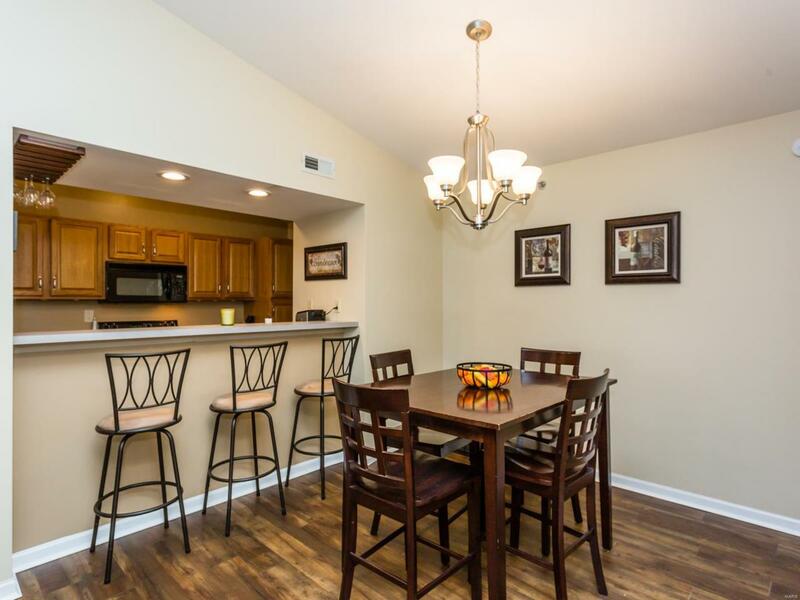 Wood-toned floors lead you throughout the home where you'll find vaulted ceilings and an open floorplan between the kitchen, dining room and great room...perfect for entertaining! The kitchen features the full gamut of appliances, pantry, recessed lighting, tile floors, upgraded cabinets and a convenient breakfast bar. Comfortably sized bedrooms showcase vaulted ceilings & large closets. Both full bathrooms are updated with tile floors and plenty of counter space, especially in the hall bath. In-unit laundry provides a present-day convenience and also doubles as a storage room. 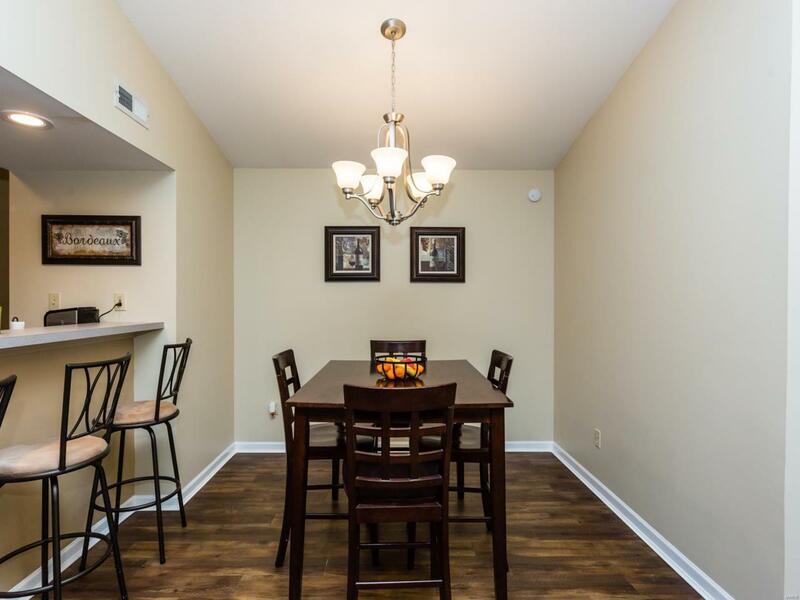 Neutral & inviting paint colors, 6-panel doors, ceiling fans, assigned parking spot, water/sewer/trash included & a couple minute commute to highways, dining & shopping-- this condo has it all!